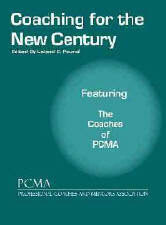 The most accomplished coaches in Professional Coaches and Mentors Association present 40 articles covering all aspects of executive and business coaching. This book is a University of Coaching for those interested in pursuing the profession and is a clear and concise review of the coaching process for potential coaching clients. 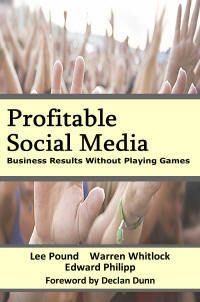 A valuable resource for anyone interested in improving their personal and professional performance. $19.97 plus tax, shipping, handling. This teleseminar will teach you how to write and publish books and articles. You may listen to it or download it free of charge. This will give you an excellent overview current writing and publishing practices. This teleseminar will teach you how to construct and use stories to attract customers and sell products. You may listen to it or download it free of charge. This will give you an excellent overview of the role stories play in influencing people in every area from speaking to writing to sales. Learn the key steps to get started writing, keep writing and write with craft and quality. In this book you learn how to set up your writing space, learn the craft of writing, choose the genre you will write in, whether you will write fiction or non-fiction, whether you need an agent or publisher or whether to publish yourself. Lee's insights will cut through many of the myths of the publishing business and guide you to greater success as a writer. $15.00 plus tax, shipping and handling. Get All Three Days of the 2007 Event! This set of 12 audio CDs and 21 video DVDs contains powerful information about how you can use speaking to explode your business. Twelve dynamic speakers will teach you how to attract new clients every time you speak, use persuasive presentation skills that you can use to grow your business, use stories as an invisible selling tool, turn every speech into a money-making information product, and use your voice to command your audience's attention and keep it. Now you can study the magic of stories in the privacy of your own home. In one package you get the lectures from the popular two-day seminar in which Lee Pound teaches you story techniques you can use tomorrow to influence audiences, write ad copy, sell products, and sell yourself. It is said that facts tell and stories sell. Learn how to use this powerful sales technique without having to wait for the next live session in California. You get all the bonus books and CDs as well as the story magic manual, a blueprint you can use time and again to create powerful stories that will sell. A false charge of murder draws Lisa Beck into a deadly political game in newly independent Namibia in southern Africa, a game that could cost her her life. When Lisa Beck's father is accused of assassinating a major political figure in Namibia, she returns to her estranged homeland to prove him innocent and to face memories of her deceased husband that she has spent years attempting to escape. $20.00 plus shipping and handling. Angela Baxter made a fateful decision. The consequences will haunt her for the rest of her life. The discovery of the most ancient human tooth ever found in North America made archaeologist Angela Baxter famous and aroused a smoldering undercurrent of family discord and hatred that threatened her life and her hard-won professional reputation. From the Mojave Desert to the forests of Minnesota, one step ahead of the police and an unknown killer, she searches for the truth that will put the ghosts of her past to rest forever. $20.00 plus shipping and handling.